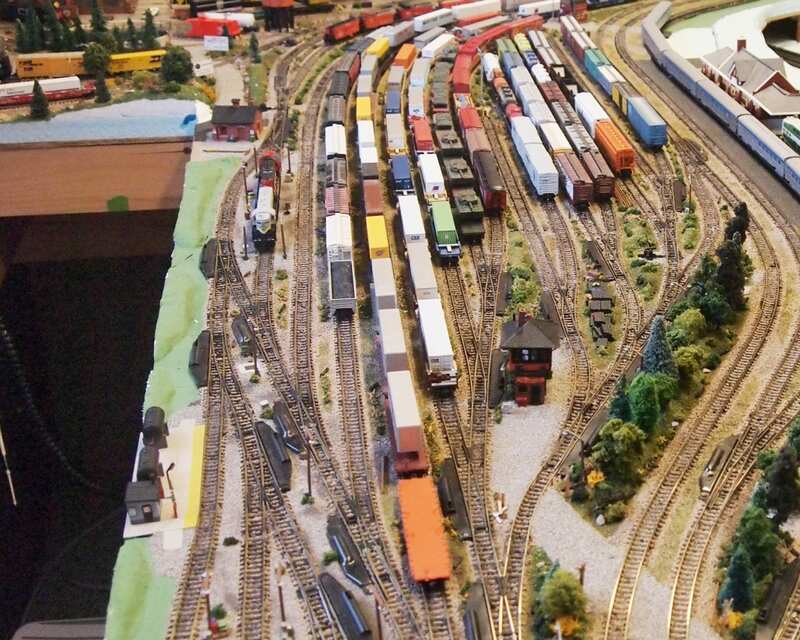 This layout contains a beautiful combination of detailed mountains, scenic train views and fully loaded depot full of model trains. Old school police station to help check out the cargo within each of the train cabooses. This depot, in particular, stands out as a perfect example of utilizing a variety of different colors trains to give it a vibrant color and really make the layout separate itself from the rest.